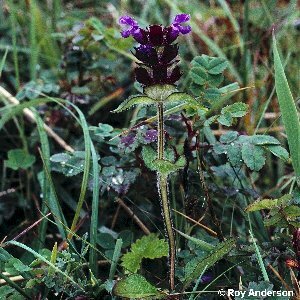 A native, perennial species of meadows, pastures and other grassy habitats; common throughout Northern Ireland. 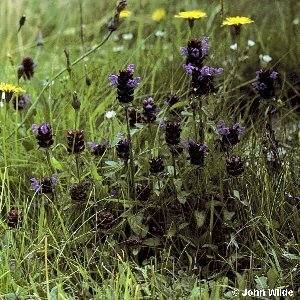 The plant grows up to 9 ins (c. 22 cm), has pointed oval leaves which are scarcely toothed, and an oblong head of violet-coloured flowers produced from dark purple persistent calyces. 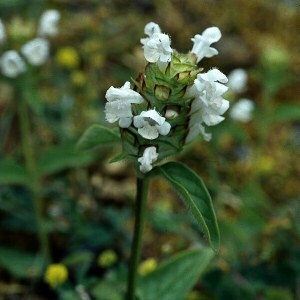 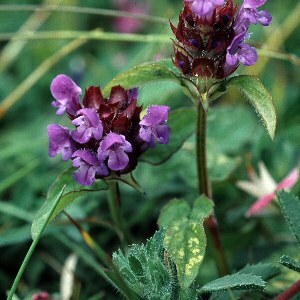 All names: Prunella vulgaris L.